The crew at Asylum Paintball will literally do whatever they can to grow the sport of paintball, and to kick off 2015 properly we’ve got a mad offer. We all know that to get great, you’ve gotta put in the time and effort on the field. 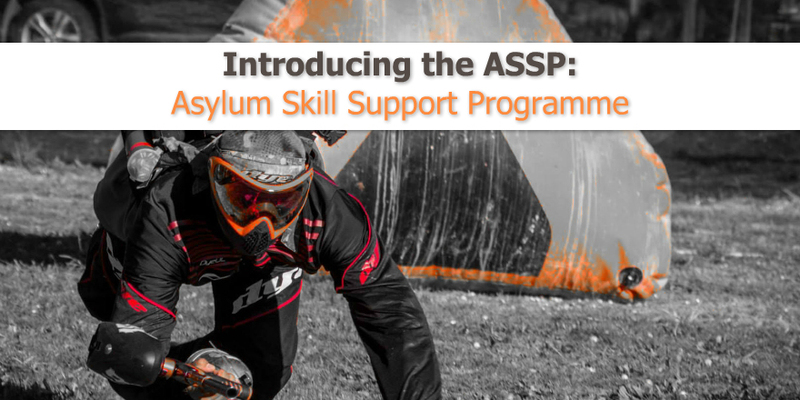 The brand new, epicly awesome, Project: Asylum Skill Support or ASSP is going to get you there. We’ve only a got a very limited amount of space on this programme – for both teams, and individuals who fit the bill. We aren’t just looking for the best players, but those with the best attitude, who can be moulded into our own twisted image, and have the potential talent to grow, and yells, you’ll have to sign a contract. Because we are top dudes, this isn’t just limited to Auckland, so if you want to be part of the family let us know. Sponsored field fee for your scheduled training on our Tournament Grade Sup Air Fields. BYOP without corkage fee on scheduled trainings. We’ll even work with you to help source paint sponsorship from a select crew of suppliers. Storage rooms for teams to stash your gear away safely and securely. Club room access for special team events and meetings. Ongoing media support through our own and partner channels. Access to fitness training and help, alongside special offers from our qualified and certified fitness instructor. Think positive, behave, remember – our spies are everywhere and we always reward those who are loyal to the cause.